ThinkPlanet is a weekly half-hour interview series. Host Alan Wartes presents in-depth, solutions-oriented conversations with thought leaders in the world of environmental resilience and sustainability. ThinkPlanet is one of three weekly broadcasts in the ThinkRadio Presents family of programming. It complements the other two — ThinkPeople and ThinkBusiness — in presenting solutions-oriented conversations with cutting edge innovators, all focused on the questions: What does a resilient, equitable and prosperous human future look like, and how do we get there? Will Falk — Fighting for Ecosystem "Entities"
In this episode of ThinkRadio Presents ThinkPlanet host Alan Wartes spoke with environmental activist Will Falk. In this episode of ThinkRadio Presents ThinkPlanet host Alan Wartes spoke with author Sean Prentiss. In this episode of ThinkRadio Presents ThinkPlanet host Alan Wartes spoke with journalist and master of environmental management candidate Sam Liebl. In this episode of ThinkRadio Presents host Alan Wartes spoke with author and holistic farmer Joel Salatin. 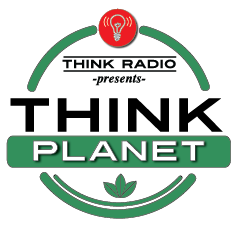 In this Episode of ThinkRadio Presents ThinkPlanet host Alan Wartes spoke with environmental attorney Suzanne Ewy. Devon Peña — the art of decolonizing...everything. In this episode of ThinkRadio Presents ThinkPlanet host Alan Wartes talks with professor Devon Peña. In this episode of ThinkRadio Presents ThinkPlanet host Alan Wartes spoke with biologist and botanist Jonathan Coop. In this episode of ThinkRadio Presents ThinkPlanet host Alan Wartes spoke with photo-journalist and author Michael Kodas. In this episode of ThinkRadio Presents ThinkPlanet host Alan Wartes talks with water law expert John McClow. In this episode of ThinkRadio Presents ThinkPlanet host Alan Wartes speaks with ecologist and author Dr. Tom Fleischner. In this episode of ThinkRadio Presents ThinkPlanet host Alan Wartes speaks with Regina Lopez-Whiteskunk councilwoman of the Ute Mountain Ute Tribe. Gavin VanHorn is the author of The Way of the Coyote: Shared Journeys in the Urban Wilds. Dr. John Hausdoerffer is dean of the Western Colorado University School of Environment and Sustainability.